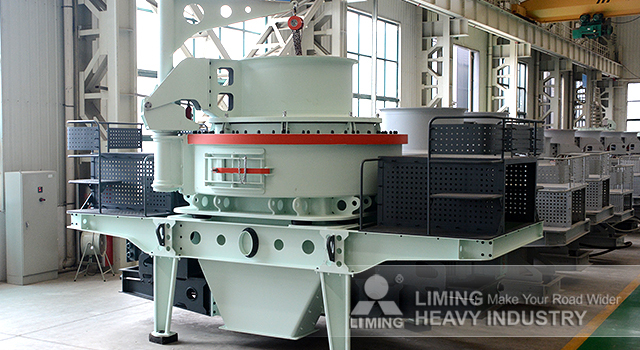 In 2016, based on thousands of vertical shaft impact crusher applications, Liming Heavy Industries further optimized the structure and function of impact crusher. Liming Heavy Industry introduced a new generation of high efficiency and low cost sand making and shaping equipment - VSI6X series vertical shaft impact crusher. It can not only be used for hard rock sand, ore crushing operations, but also be used for construction waste, coal gangue, tailings and other solid waste treatment. In the era of innovation-driven development, technological innovation is the mission of a lifetime for the new construction machinery industry. Liming Heavy Industry highly valued scientific and technological innovation. What’s more, we attache great importance to the sustainable development of productivity. If you want to know more about Liming New Generation VSI6X Vertical Impact Crusher, please contact with our 24hours online customer service or leave us meaaages below!